The Bioko Marine Turtle Program is committed to affecting change in cultural and social perceptions about the value of wildlife, biodiversity, and the environment. Educational outreach programs for school age children in local communities help to increase awareness about the unique wildlife and ecosystems of Bioko Island and the threats they face, by bringing these seemingly distant and unfamiliar animals into the classroom. Students are also encouraged to discuss current issues affecting endangered wildlife in Equatorial Guinea and imagine ways to improve the future of conservation locally and abroad. 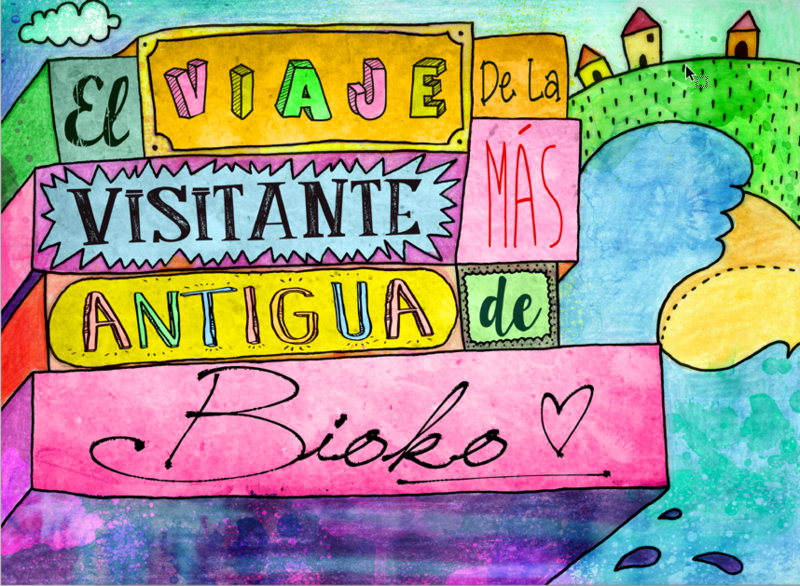 Written by Sarah Vieira and illustrated by Victor Jimenez, El Viaje de la Visitante Mas Antigua de Bioko is a Spanish language children's book about sea turtles. Written from the perspective of a critically endangered hawksbill sea turtle in Bioko, this story provides a fun and interactive way to raise awareness of some of the challenges sea turtles face and introduce ideas about different ways people can be involved in conservation efforts. The book also provides a short reflections page where students can write ideas or thoughts about small things they might do in their everyday lives to affect positive change. We would like to acknowledge ATM-Associação Tartarugas Marinhas and the Author and illustrator for their collaboration on this book and their dedication to sea turtle conservation.